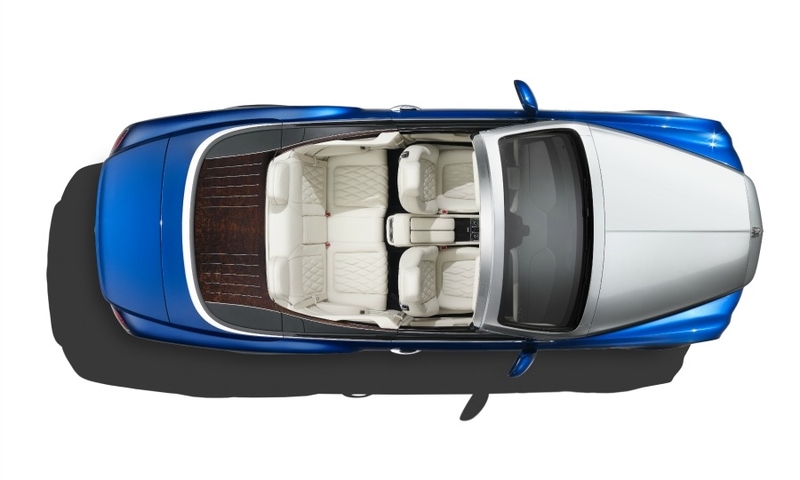 The Grand Convertible's silver “liquid metal” finish to the hood and windshield frame, along with its sequin blue bodywork, help to make the model the most sophisticated open-top car created by the brand to date, Bentley says. 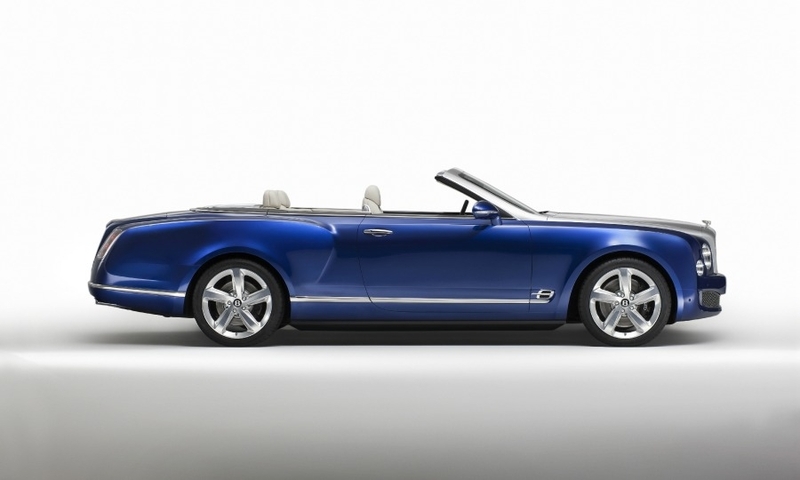 LONDON -- Bentley's Grand Convertible previews a possible production car to take on the Rolls-Royce Phantom Drophead Coupe. 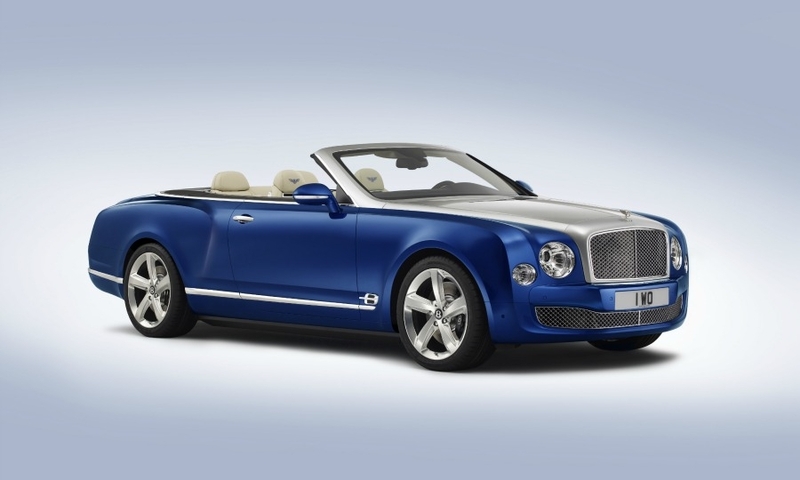 The Grand Convertible, which was unveiled at the Los Angeles auto show Tuesday, would be Bentley's most expensive car, if it is built. The four-seat convertible is based on the brand’s Mulsanne sedan and is powered by the same 6.25-liter twin-turbocharged V-8 engine. 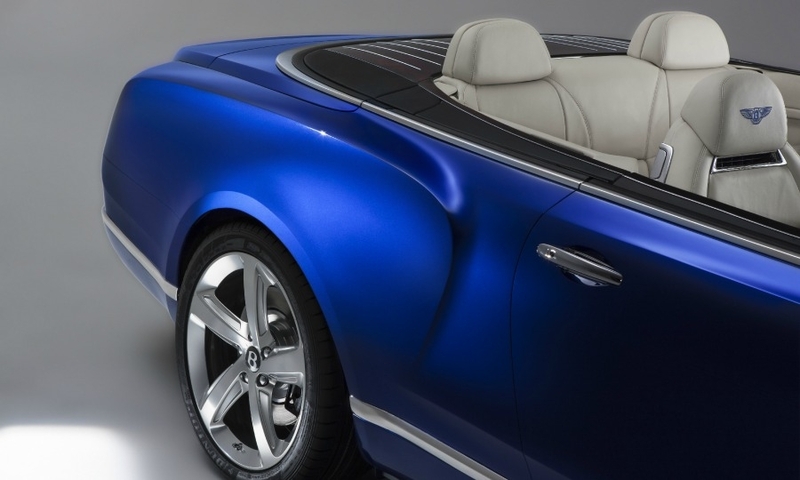 Bentley said it will decide whether to produce the Grand Convertible in limited numbers depending on the reaction from potential buyers at the show. "We are eagerly awaiting the response of our customers," Bentley CEO Wolfgang Duerheimer said in a statement. "If it reaches the roads, it will be a highly exclusive, extremely limited collector's piece." The Rolls-Royce Phantom Drophead Coupe costs 358,500 pounds (448,000 euros, $562,000) in its UK home market. 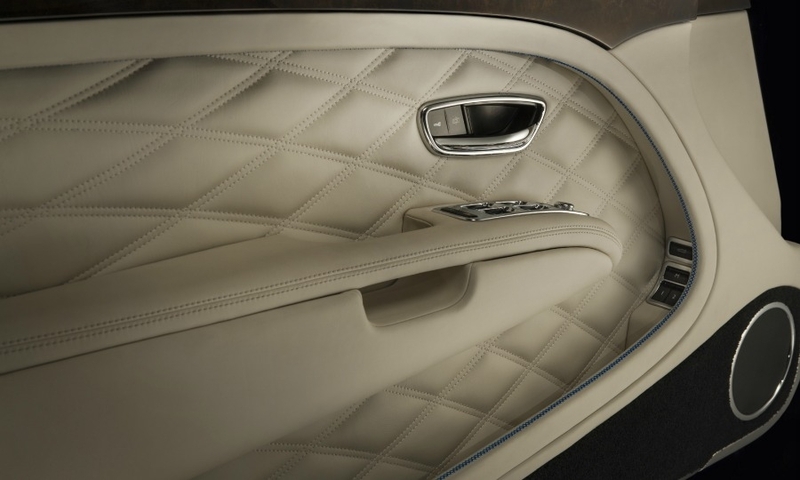 A limited-edition production Mulsanne convertible would likely cost about 300,000 pounds, more than the 229,000 pound Mulsanne sedan, making it Bentley’s most expensive car. 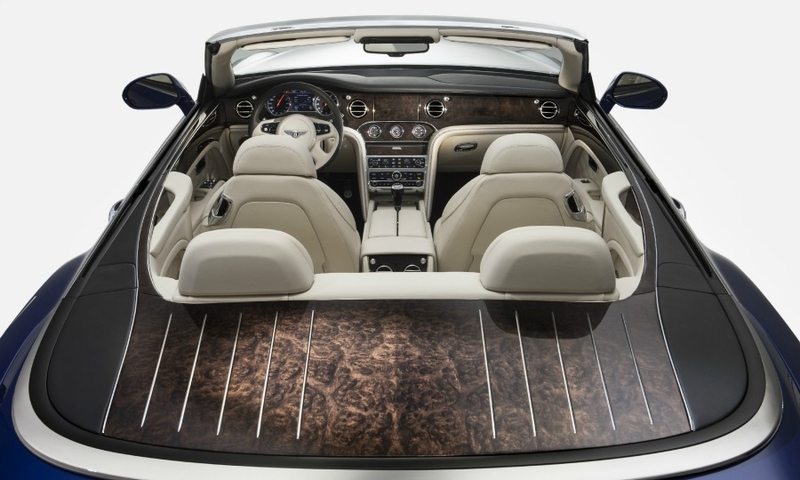 The Grand Convertible concept features a wooden "tonneau" cover for the folded fabric roof, which the automaker says is the largest piece of veneered wood applied to a Bentley. Bentley is expanding its product range. 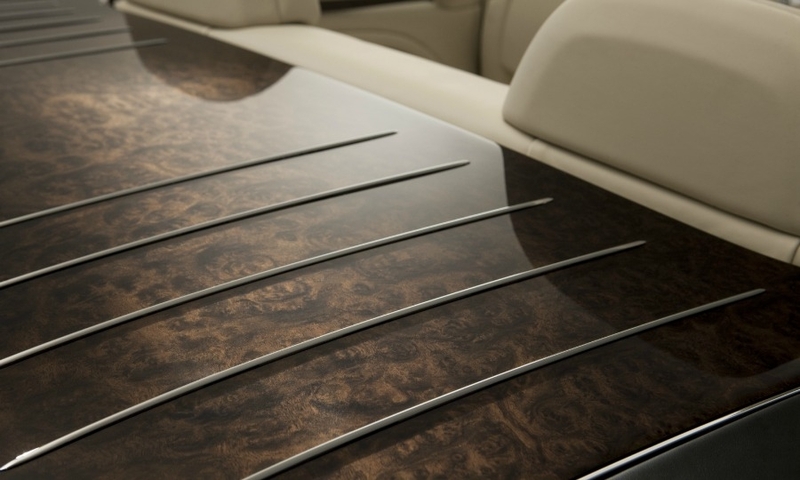 Duerheimer has said that Bentley could build a coupe version of its Mulsanne flagship. The Mulsanne accounted for 10 percent of Bentley's 10,120 vehicle sales last year. The brand will launch an SUV in 2016 with an annual sales target of 3,000 units. The SUV will be available with a plug-in hybrid powertrain as well as a diesel. Duerheimer has said that Bentley is considering a fifth model. One possibility is a two-seater sports car based on a front-engined Porsche platform. Bentley's global vehicle deliveries increased 19 percent to 7,786 in the first nine months, putting the brand on track for a record sales year.